Home › News › Flint Group receives Expanded Gamut Printing partnership certificate from Marvaco Ltd. 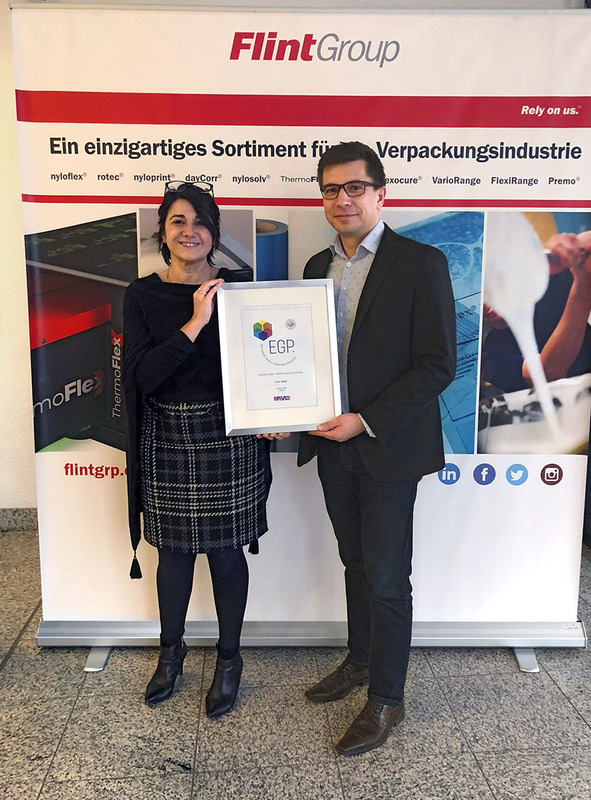 The certificate is awarded for the stability and excellent process reliability of the inks and plates based on the experience in numerous prints at several printers in the past three years. The jobs have been printed in high line screen, up to 70 lpcm (178 lpi), in daily production. Moreover, the awarded success in different flexo printing competitions using Marvaco’s EGP repro-plate solution, verifies that the EGP printing results with the Flint Group technology have been excellent. “Printing companies need skillful and capable partners to implement EGP technology. Flint Group’s ability to supply user-friendly flexo printing inks and high quality flexo raw plates has been tested even in the most demanding applications with various materials,” says Kai Lankinen, Chairman of Marvaco. The EGP repro-plate technology enables printing with no need for manual mixing of spot colours. Predictable and precise brand colours are implemented with digitally assisted ink blending, where the CMYK colour gamut is enriched, for example, with additional OGV (Orange, Green, Violet) process inks. Printers have reported a remarkable rise in efficiency and quality since moving to Full HD EGP. What is more, even the consumption of ink and solvents has dropped dramatically, that makes the process even greener than traditional flexo printing. Brand colours that have been restricted by the CMYK method in the past can now be printed in a nearly unrestricted, more precise manner, batch after batch, as the EGP technology multiplies the number of available colour shades compared to the Pantone®+ colour series. The other advantages of this technology include gang printing of different products at the same time and more cost-efficient printing of smaller print runs. For detailed information about the partnership and the printing tests, you can reach out to Joelle Bédat, Business Development Manager OEM from Flint Group via joelle.bedat@flintgrp.com or contact Kai Lankinen, Chairman of Marvaco Ltd. via kai.lankinen@marvaco.fi. Read more about EGP on www.marvaco.fi. 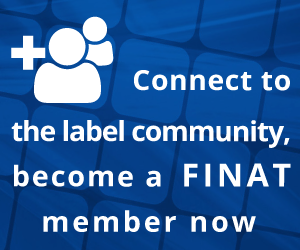 For more information on Flint Group and it’s unmatchable portfolio for the printing industry, visit www.flintgrp.com or contact info.flexo@flintgrp.com.